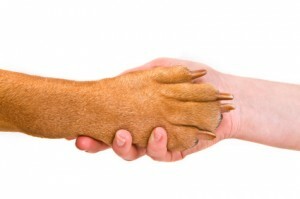 The fair housing rules provide great leeway regarding who can prescribe a companion pet. The person does not have to be a doctor. They simply need to be “qualified to treat the disability”, and the animal must be useful in the treatment of the disability, typically by providing emotional support. There are no specific licensing requirements or skills that the person must possess. HUD’s position is that any other remedies that are available under the lease agreement generally will be enforceable. That means that the landlord should be able to deduct damage from the general security deposit, or pursue a tenant for the damage in court, regardless of that person’s disability. The tenant is generally expected to clean up after the animal and provide for its day-to-day care, subject to any local laws regarding the care and maintenance of an animal. Hello, I live in Massachusetts and I am searching for an apartment that will allow me to keep my pitbull. I have a doctors note which says she is vital to recovery and helps with my disability. Every landlord I have talked to said she is not allowed but are they legally allowed to deny me if I have a doctors note? Is there a way to go about this where I don’t have to take legal action? My family has multiple individuals that have 1 companion animal each how do the laws apply? Jonas, hotels in Oregon are required to comply with the ADA and the Oregon statutes related to task trained service animals (which only include dogs, and in some cases, miniature horses). Hotels are not required to accommodate cats, even if the cat is described as a companion animal for a person with a disability. Fair housing acts however do allow a tenant to request reasonable accommodation if they have a cat as a companion animal. I suffer with PTSD and depression, having my dog with helps me a lot. I trained her for the commands required, I do not have the money to pay for training. The training is about $2,000 and up and not to many have that much money to pay for the training. My dog is a god sent for me. The ADA laws clearly stat about giving information to others under the HEPA law and allowing a person with a disability to not give out that information to just any one. Research your rights under the laws. There are a lot of people out there miss informed I was one of them myself. So I did the research and now know my rights all of them. Find out the information your self first hand is always best. My dog and I go every where together and we always will. Combat with with a companion dog. In most cases “companion animal” is just a way to skirt the laws of “no pet”, or smaller pets. Just like healthy people take handicapped parking spaces there are many of you out there abusing the system. What shysters you are! Okay, Sunny. There’s three comments above yours of people with disabilities like PTSD and such who are talking about their need for companion animals. I’m soooo sorry you’re ignorant enough to breeze just past them, but companion animals are needed, and not at all about skirting no pet laws. Many of those “healthy” people taking handicapped parking spaces have invisible handicaps, please do a little more research. hello i have one question what if you have more than one companion that you would like to get a dr note from lets say two cuz i have to girls that i would like to get a letter for do you know if theres any restrictions as of how many companions can be on one card?? I suffer with depression and pretty serious anxiety and nightmares from PTSD (from childhood abuse). It is AMAZING how much my dog and cat help relieve the intensity of anxiety and depression, and having them near me at night helps lessen the intensity of the nightmares. My dog wakes me up when I do have nightmares. I have decided to sell my rental property because of my severe allergies to cats and most dogs given most companion pets follow under one of these two. It was you going to fund my retirement. I consider this to be financially harmful. If I were to keep it then there would be harm to my health. Is there any upcoming legislation to bridge this gap in the system? Or any protection for others in my situation? Hi, when is it appropriate to inform the rental of your companion pet. Is it before you sign rental contract or after? I prefer not stating what my disabilities are , but I do have the paperwork for my companion pet. I live in Antlers Oklahoma in a disabled community complex. I suffer from many disabilities. Many of us here have service/ companion animals. In this community they write us up on our animals not being on leashes, we all here have walking problems and can’t actually walk our fur babies. There is no fenced in area here for them to excirsice, and we can’t just go to a park to let them run. There are no parks in Antlers for dogs to excirsice in. What are the rights of our companion / service animals ? We are forced to abuse our animals! There are days I have to literally roll out of bed and crawl to the bathroom and be bedridden for up to a week due to my hips locking, a fibro thing, plus I had recently been diagnosed with Ra in hips and back and shoulders. I have had my companion for 7 years and never in my life had I had to deal with this kind of situation. If we get written up 3 times due to letting our animals excirsice we will be evicted.. Please help! We are all desperate here in Antlers,Oklahoma. Sorry to hear you are having some trouble with your lease. Unfortunately, we cannot provide specific legal advice regarding your tenancy. I can say that, generally, the tenant is responsible for the basic care of a companion animal, which likely includes bathroom walks and exercise. The tenant must follow whatever local laws exist regarding leashes and picking up after the animal. I honestly do not know if providing a fenced-in area for dogs would be considered a necessary and reasonable accommodation. That’s a good question for a tenant attorney in your area. If not, perhaps you can team up with other tenants to find a volunteer or hire someone to come by and walk the companions. Thank you for your interest in our blog. I’m a land lord,,, I have a tenant wo signed a contract no pets .She fiend a cat in the street she want to kip in the ,apartament I HAVE the some contract for all 4 unit.she insisted and I was nice we agree to kip the cat only until other tenant complent .and now is happening .others want pets too.PLEASE I want to be fair to all the tenants Itoll her she need to place the cat to other home .. Now she tell me is a companieng animal I’m in Colorado please what are mine rights ,, she is an a month to month lease. I live in Oregon, I reside above someone with a “companion “ dog. The poor dog is left alone most days, all day. On occasion overnight. I’m just curious how they can say it’s a companion? !